The University town of Heidelberg in Germany is a classic example of nature and man-made structures co-existing in perfect harmony. Founded in the 14th century, Heidelberg University is a strong contender as one of the most beautiful universities in the world. Aside from the university, the town boasts many other attraction that look like it was torn from the pages of a fairy tale book. This 2-day suggested itinerary will lead you to the city’s famous tourist attractions and will help you make the most of your short visit. Depending on your traveling priorities, you can certainly fine tune this itinerary to suit your needs. Enjoy Heidelberg! 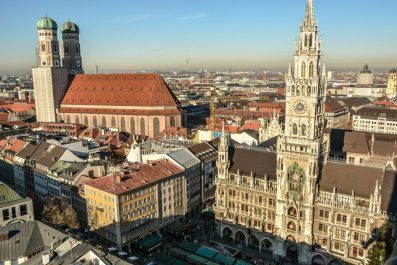 Language – The official language of Germany is German which is spoken by majority of the population. Most German speaks English, so you can absolutely get by without speaking German language. However, not all people in Germany can speak English so learning a few basic German words and phrases is recommended. Just like in other countries, speaking at least some German phrases or attempting to learn is greatly appreciated by locals. Currency exchange – Germany uses Euros, the same currency now used by most European Union countries with the exception of Hungary, Romania, Bulgaria, Croatia, Czech Republic, Poland, Denmark, Sweden and the United Kingdom. Prior to travelling, you can buy some euros (enough for one day or whatever your preference) and then exchange your money in the banks to get the best rates. You can also use the Geldautomat (ATM), exchange bureaus which can be found at the airports, major railways stations and in other tourist areas. Safety and security – There is currently no nationwide security advisory in effect for Dresden. Check your country’s travel advisory website to get the most up-to-date information for your personal safety abroad. Although most visits are trouble free, remain vigilant because petty crimes like pick pocketing and theft do occur. 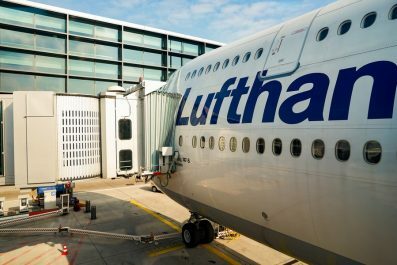 Transportation – Traveling in Heidelberg is relatively easy as all roads are well-maintained and the public transport system is one of Europe’s finest. Metro buses (Strassenbahn) or trams (Stadtbahn) are the cheapest and most popular way of getting around. Bismarktplatz in the Altstadt (Old Town) is the main transport hub, where you can get your single-journey ticket or special passes. Bicycle rentals are also available at VRNnextbike for a minimal fee. Accommodation – Heidelberg has some of the best backpacker hostels, villas and luxury hotels ideally nestled in the heart of town. 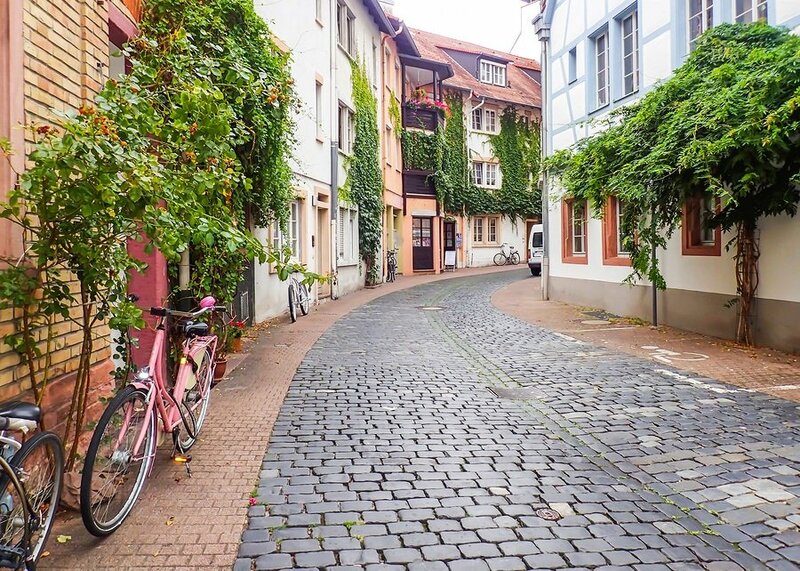 The most frequently asked question from first time travelers is, “What’s the best area to stay in when visiting Heidelberg?” We recommend to stay anywhere near Altstadt (Old Town) to get easy access to the town’s famous attractions and get plenty of dining options. By taking the ICE (Inter City Express) from Frankfurt, Germany’s fastest train, you will arrive at Heidelberg Station in 50 minutes. Make sure to drop by the Tourist Information Office at the Main Train Station to get printed tourist maps, bus or tram schedule and tour recommendations. Rest a little at your chosen accommodation. 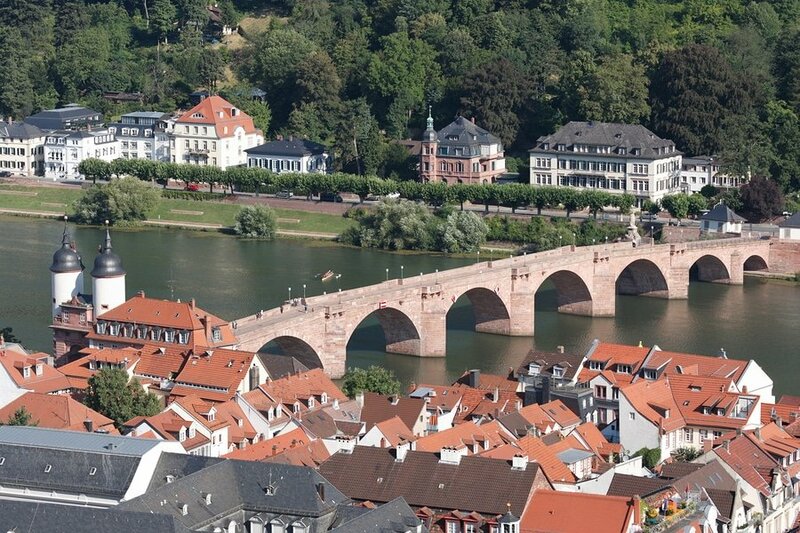 After brunch, take in a few of Heidelberg’s most famous attractions and get an introduction to its rich history. Start your tour at the historic Altstadt (Old Town), a great way to get acquainted with the city. This area is packed with many historic sights and attractions so make sure to wear comfy shoes. 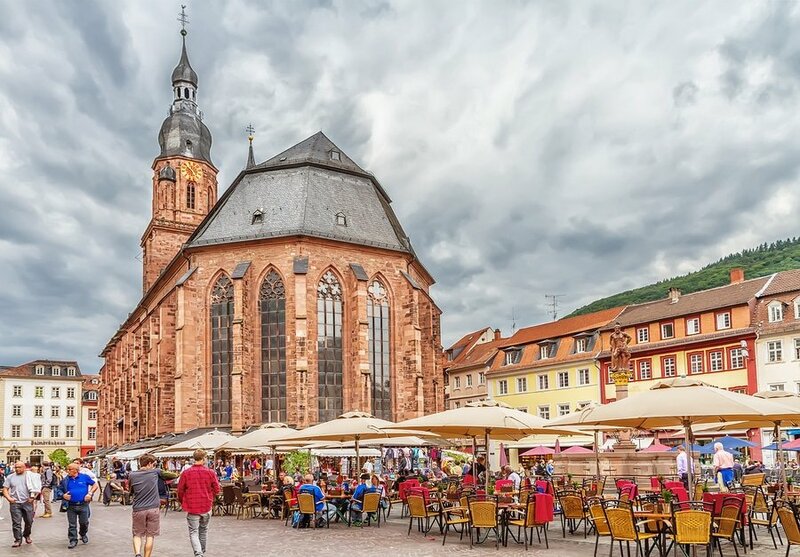 At the Marktplatz (Market Square), you will find the Rathaus (Town Hall), which is the seat of the government of Heidelberg. The town hall itself has a magnificent Baroque architecture with an equally interesting history. Not to be missed is Heiliggeistkirche (The Church of the Holy Ghost), which served as the burial place for all the former Palatine Electors. Conquer the steps up winding stairs to the tower. This part is one of the most famous spots in town to get fantastic views of the square and the Neckar River. 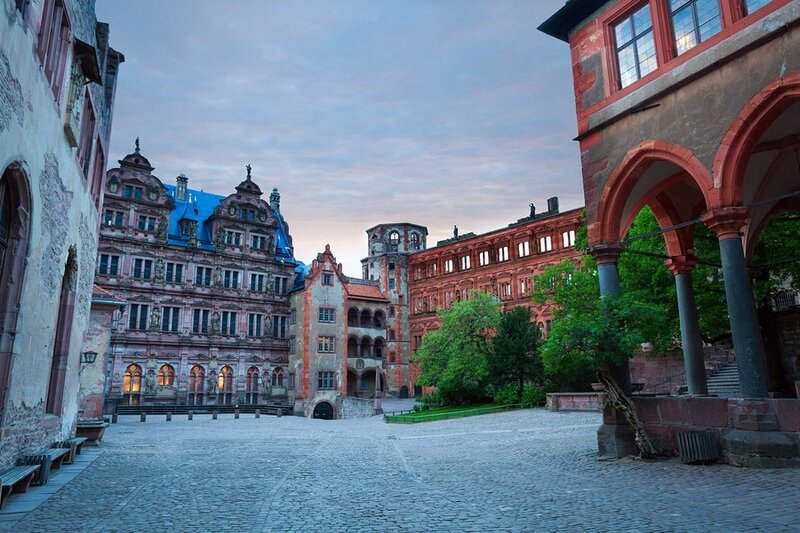 Once your done with the Market Square, make your way to Schloss Heidelberg (Heidelberg Castle), which was once the center of power of Prince Electors of the Holy Roman Empire. Some of the highlights of this castle are the Heidelberg Tun (the World’s Largest Wine Barrel), the Apothecary Museum and the gardens. To appreciate the historical relevance of this castle, we recommend a guided tour. You may also allow yourself some downtime in the late afternoon and enjoy a dinner with a fantastic view of Neckar River. Afterwards, soak in the chill vibe of the city by having a night cap at Bent Bar, where you can get a stunning panoramic view of the river and beyond. On day 2, check out from your hotel/hostel then take a morning stroll at Alte Brucke (Carl Theodor Old Bridge). Leave your stuff in the hostel’s reception before you join the Neckar River Cruise, one of the highlights of any Heidelberg tour. 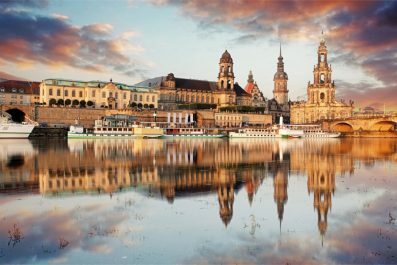 Aboard a 4-star or 3-star riverboat, you’ll cruise for 1 to 2 hours past stunning German castles, steeped hillsides and vineyards, which is known as the Germany Castle Road. Enjoy a delicious buffet lunch and some free refreshments as you sail Neckar River to Rhine River. You may rent a bicycle to see the hills and countryside along the Neckar River. Depending on season, cruises depart up to 6 times daily. Theme and event cruises are also offered. In the afternoon, check out from your hotel/hostel. Leave your stuff in the hostel’s reception before you go for last-minute shopping and seeing those attractions that you haven’t yet had time for. Do not leave without getting some Heidelberger Studentenkuss (Heidelberg Student Kiss). Fit in one last amazing lunch or dinner in the city before you depart from the city. 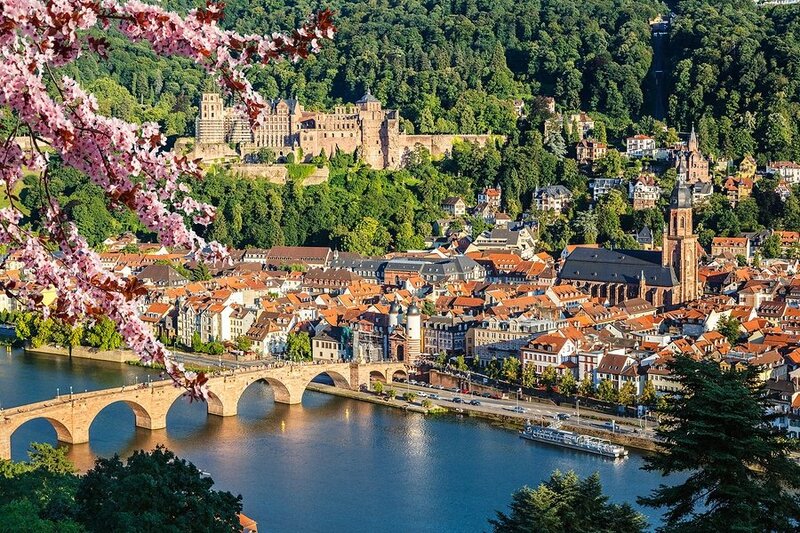 Have you been to Heidelberg? Do you have any tips or suggestions to share? If so, you can leave your comments below.